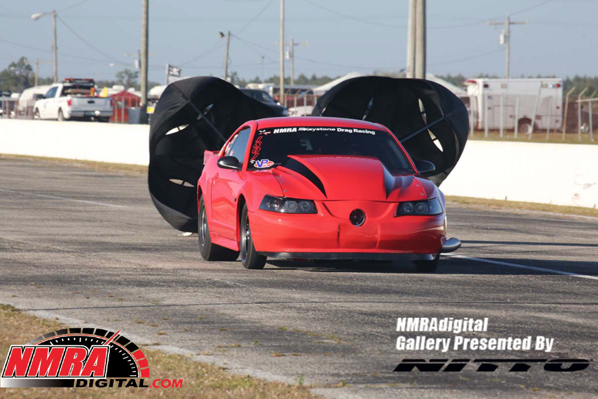 The 22nd annual Nitto Tire Spring Break Shootout was held at the Bradenton Motorsport Park last weekend. It was the first of a six race, all-Ford series. In True Street, competitors make three back-to-back runs after a 30 mile cruise with no changes allowed to the cars once the cruise starts. Even the car’s hood has to stay shut. The winner is determined from the average ET of the three runs. 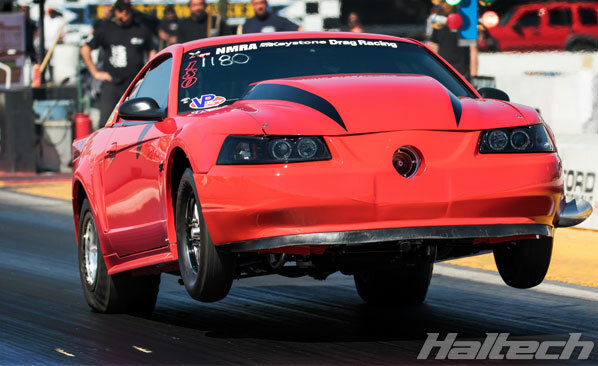 Haltech-powered cars dominated the True Street class with Randy Seward defeating Raul Torres in the finals (with his fastest pass ever) to became a three-time Spring Break Shootout winner. 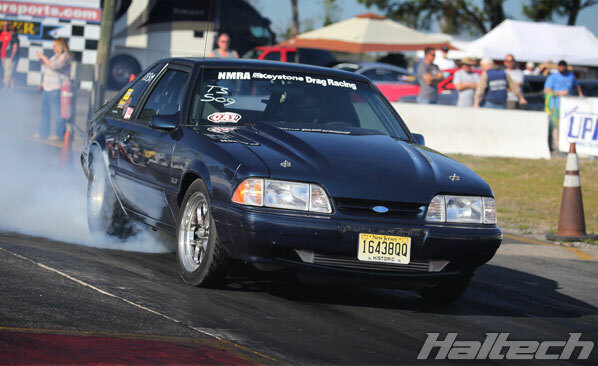 Randy also took the Overall Winner title with an 8.32 average (8.33, 8.30, and 8.32). The Overall Runner-up title went to last year’s class winner, Mike Jovanis. Mike’s Haltech-powered car finished the challenge with an 8.68 average. 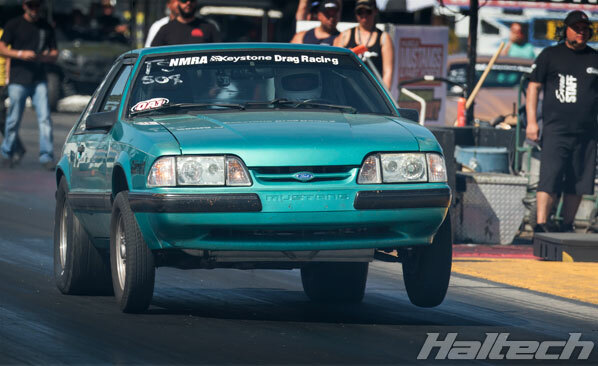 Both racers are currently running the Haltech Elite 2500 ECU in Fox Body Mustangs with small block Ford engines. Over the last eight years, Randy has won a total of seven True Street events with Mike not far behind with six wins. Racing in the Street Outlaw class Vince Palazzolo qualified 5th with a 4.90 @161mph. Vince is a recent convert to Haltech and this was only his third pass with the Elite system on board. Vince managed to keep improving pass after pass with his quickest pass of the weekend, a conservative 4.73 good enough to get him into the finals where he faced Dwayne Barbaree. Vince spun on the launch and was unable to recover in time. Barbaree took the win with a 5.14 @ 154mph. 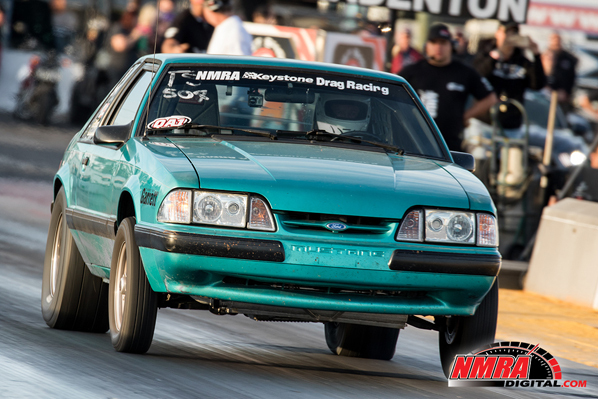 Next NMRA event is the NMRA/NMCA Borla All-Star Nationals, April 7-10, 2016, Atlanta Dragway (Commerce, GA).